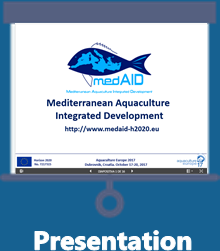 MedAID (Mediterranean Aquaculture Integrated Development) is a four-year project, funded by the European Union in the frame of Horizon 2020, grant agreement number 727315. The goal of MedAID is to increase the overall competitiveness and sustainability of the Mediterranean marine fish-farming sector, throughout the whole value chain. 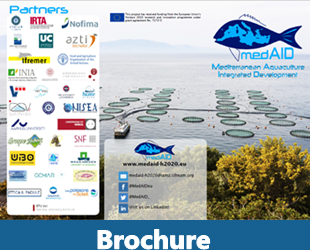 MedAID, together with PerformFISH, are two RIA (Research and Innovation Action) which have been approved under the call SFS-23-2016 “Improving the technical performance of the Mediterranean aquaculture”.